Experience something new and unique this season by attending an ANIME HALLOWEEN PARTY this coming October 27, 2018 at Y Cafe. The venue is an anime-themed cafe and restaurant which is very suitable for the occasion plus they offer Halloween-themed food as well. Anime Haroween Party is an event by Naruto Cosplayers PH and Red Cloud Interactive which invites anime enthusiasts everywhere. You can come in cosplay or you can just come in your usual self, they encourage you, however, to be a bit add some Halloween getup for more fun. You can also come in costume because there will be an award for whoever is best in spooky and Halloween inspired costume. 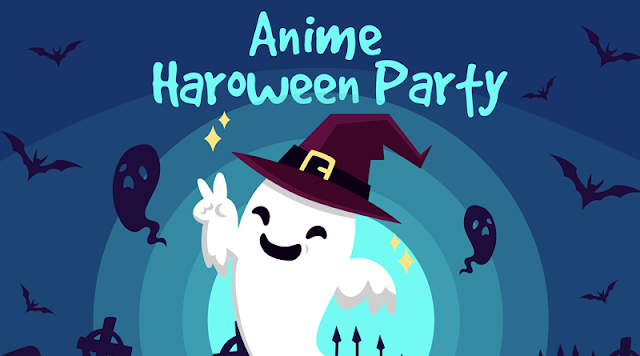 Tickets for the Anime Haroween Party will be at Php500 per person and comes with drinks and food already, so you do not have to worry about getting hungry. Event will be from 4pm to 9pm. For more details at the event please visit THIS LINK or the official event page. See you at Anime Haroween Party and let's all have fun.